Following the events of Heroes Chronicles: The Sword of Frost, Gelu, the leader of AvLee's Forest Guard and wielder of Armageddon's Blade, attacks Kilgor, the Barbarian King of Krewlod, in an attempt to claim and destroy the Sword of Frost. As foretold by a prophecy, when Armageddon's Blade and the Sword of Frost clash in battle, the result is a massive explosion (known as the Reckoning), which destroys the world of Enroth. Many of the inhabitants of the planet, however, manage to escape through mysterious portals that appear during the Reckoning which lead them to another world, called Axeoth - also the setting for Might and Magic IX. Included among the refugees are many of the heroes of previous installments of the series, and many return to their old ways shortly after arriving on their new home. 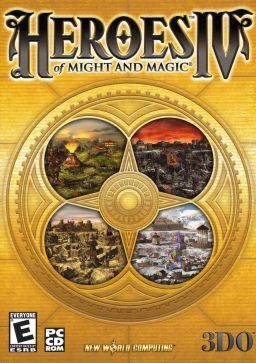 To promote Heroes of Might and Magic IV and grow its popularity (top games), use the embed code provided on your homepage, blog, forums and elsewhere you desire. Or try our widget. Warbanners is a turn-based tactical strategy combat game mixed with RPG elements set in a brutal fantasy universe.